Cheer on our runners at the Brighton Marathon 2019! We need volunteers to cheer on our fantastic team of runners at the amazing Brighton Marathon on Sunday 14th April 2019. 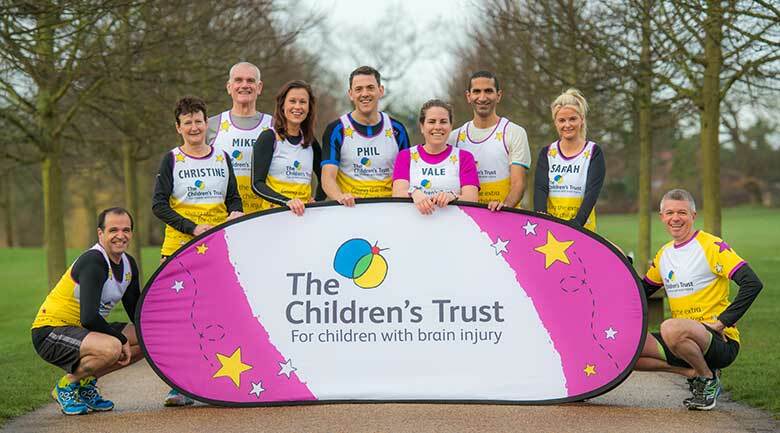 The Brighton Marathon is a fantastic challenge which our runners will take on this year, and we need a team of people to help support them in their aim to raise as much money as possible for children and young people with brain injury. The race route for the Brighton Marathon starts with a loop of gorgeous Preston Park, and then takes in the best of the city centre including Brighton Pavilion and fabulous stretches of coastal road, including panoramic views that you'd expect where the glorious South Downs meet the English Channel. The last mile is along the seafront road beside thousands of cheering spectators, while the fabulous Finish is in Madeira Drive, just east of the brilliant Brighton Pier. Cheering those who are running on behalf of The Children's Trust and raising awareness of the organisation.